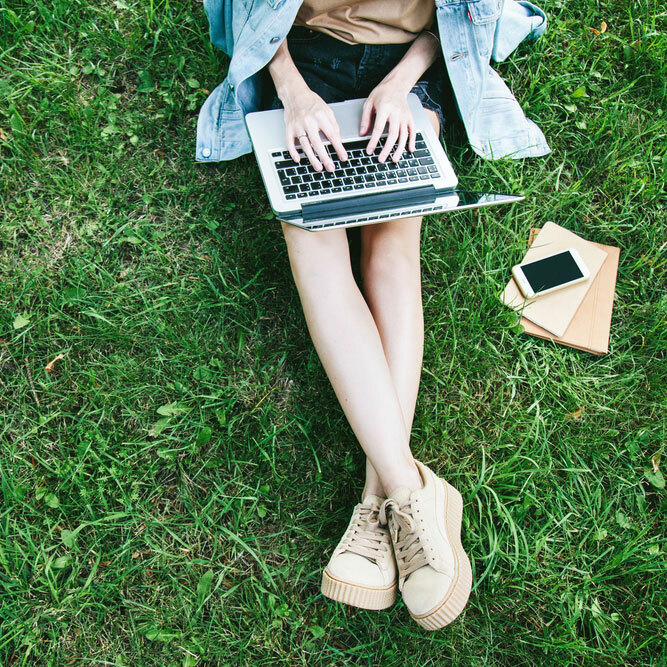 This post was partly inspired by this piece from Torre DeRoche, partly by readers saying to me, ‘You don’t seem to be writing as much anymore,’ and partly by a couple of people who thought my life looked very different to what it actually does! Those who make a living wage from their art (writing, painting, acting, jewellery making … whatever) and thus get to pursue it full-time. Like most creatives, I fall squarely in the second category. While it’d be nice for the writing I do on my blog and in my books to pay me a full-time income, the truth is, it doesn’t even pay me a part-time income. Exist on the poverty line so I can be creative all the time. Work another job that pays my bills, and hope that job leaves enough mental space and physical time for creative pursuits. I, and most creative folk, choose option 2. 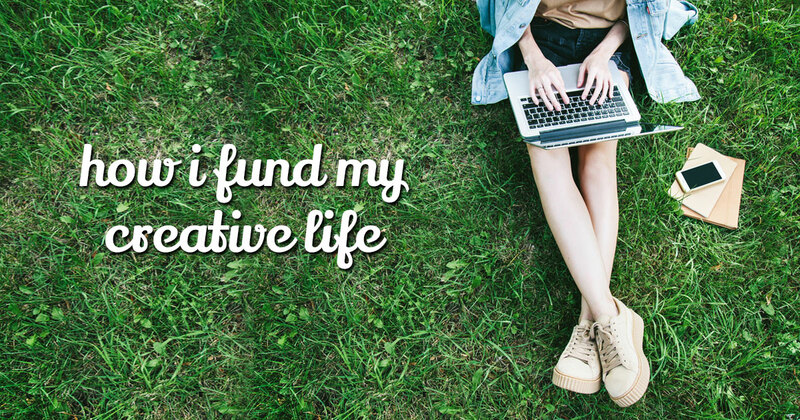 So, how do I fund my creative life? Mainly, I work in the design business I founded 11 years ago. My husband, Anthony, runs the show at Swish Design these days, but I still work there three days a week doing content marketing, financial control, product development, a little bit of client work and providing managerial support to Ant. We have two businesses and between them, they provide the bulk of our income. Write books for other people. Write articles for online publications. If you’re thinking the above would eat up all the ‘work hours’ I have during the week and leave no time for book and blog writing, you’d be right. I get up at 4.15am every morning, in theory to do my own writing. But paid work generally always trumps ‘work that is unpaid right now but might pay off someday’. So, I often spend my precious morning hours doing stuff for clients. I tell you this, not to complain. More just to convey what is reality for most creatives. The truth is so much more mundane. Malini funds her painting by running art classes. Kylie funds her novels writing by working as a psychologist. Caroline’s published 12 books and still works as the Associate Editor at The Australian. Torre Airbnb-ed her house to fund The Worrier’s Guide to the End of the World. Liz Gilbert, (Eat, Pray, Love and Big Magic) funded her early years of writing by working at a bar. Stephen King was a labourer and teacher until the breakout success of Carrie allowed him to become a full-time writer. Sitting alongside the ‘need to pay for life’ is life itself. Even if professional life is humming along nicely, other areas of life might be less ideal. Liz Gilbert is currently dealing with the illness of her partner. Stephen King fought addiction for years. I guess there are two. One, no matter how lovely a fellow creative’s life looks on social media; no matter how much it looks like they’re living ‘the’ life, it’s unlikely they’ve got it all going on. Because no one’s got it ‘all’ going on. Two, if you want your favourite creatives to keep creating – you might need to get behind them. While moral support is always nice, actually buying the stuff they create, (if you have the means), means they can spend less time working a job, and more time creating the stuff you love to consume. Sign up for their courses. Like their posts on Facebook and Instagram (this means Facebook and Instagram will show those posts to more people). Share their posts on social media. Open their emails, (you don’t even have to read them, but if you open them it helps with their deliverability and list health). Leave reviews on iTunes and Amazon. Send them an email telling them what you like about their work. As I mentioned earlier, while it’s easy to look at Instagram and think people are living ‘the life’, most are just getting by as best they can. If you’ve noticed a favourite creative has stopped creating, or slowed down significantly, it’s most likely because they’re having to work longer hours in their paid job … or they’ve got some personal stuff going down. Never assume ever assume people are flying and don’t need your support. The truth is almost always the opposite. Meanwhile … if you like the stuff I write here on the blog and you’re wondering what you can do to get me creating more, this page offers some specific ideas ?